The Panasonic ES-LA93-K electric men’s shaver has some fantastic features, including a cleaning and charging station, that make the extra cost well worth the price. One notable thing about this shaver is that its smooth black casing looks more elegant and stylish than your standard shaver. You won’t be embarrassed storing it on your counter. It’s priced nicely, which is more affordable than some of the other Panasonic offerings. This shaver is cordless and rechargeable. 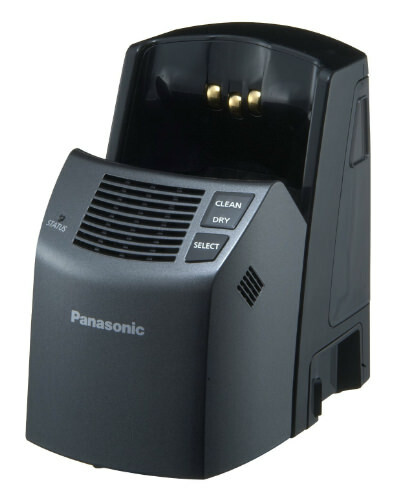 The Panasonic ES-LA93-K has been designed with ergonomics in mind. It’s sleek and easy to grip in the hand, even when it gets wet in the sink or shower. It’s comfortable to hold, even after a few minutes of shaving. It’s not too noisy or loud. 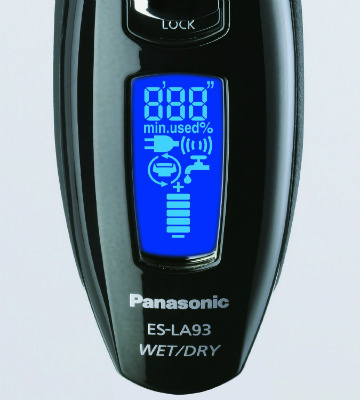 The Panasonic ES-LA93-K has a foil style head that they call “multi-fit”, with four sets of blades that operate independently of each other. 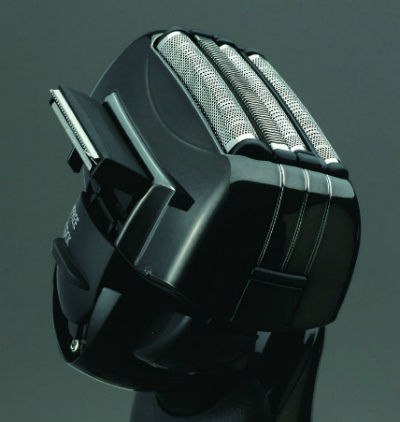 The foil head is attached to the base of the shaver, and is meant to be flexible. 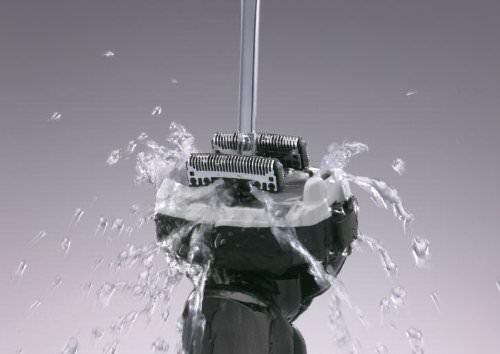 It pivots in different directions, to make shaving easier. Each of the blades contains nano blades that are angled at thirty degrees. 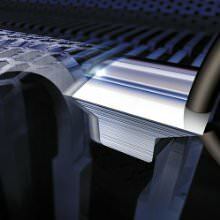 The outer foil is ultra thin, to maximize skin comfort, as the last blade glides across the skin. When the shaver is on, and the head glides over the skin to shave off the hairs, it moves uniformly against the skin, never being jerky or unstable. You’ll remain in full control of your shaving at all times. This provides additional comfort, and you’ll complete your shaving with irritant-free facial skin. 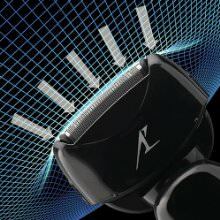 The shaver head is actually gently curved, so it more easily glides over every curve of your face, and even the jaw line. You can either use your shaver with up and down or sideways motions, or you can shave in a circular motion. Either method is effective at allowing the shaver to trim the hairs. 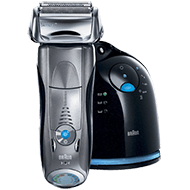 This shaver is great for men who have been used to rotary shavers in the past. They can still do the circular movements, but gain the benefits of using a foil-headed shaver instead. 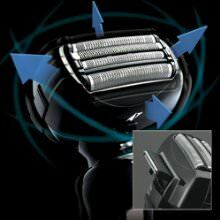 Each of the blades contained in this shaver have been precision honed, and they are extremely sharp, to ensure they effectively shave hair right down to the surface of the skin. 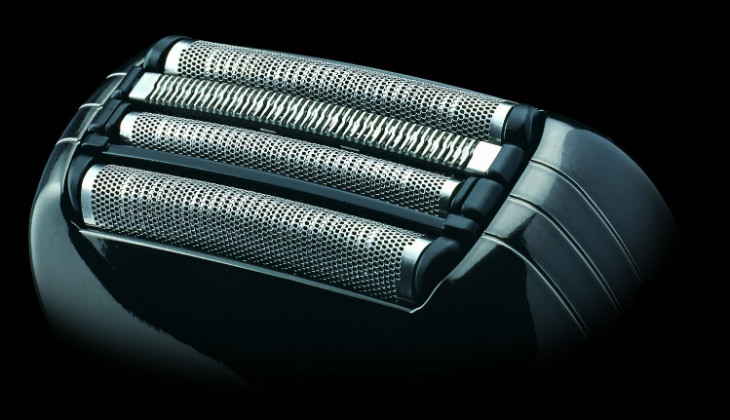 Each of the blades contained in the Panasonic ES-LA93-K is hypoallergenic, to minimize discomfort, as they’re not made with cheap nickel that may be present in cheaper brands of shavers. 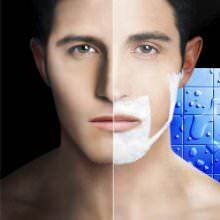 Together, shaving in the morning has just become easier, and in lesser time. The blades in the Panasonic ES-LA93-K have been made with stainless steel. 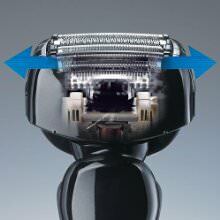 The entire head of the shaver can move in both an up and down motion and back and forth. It has a dual motor system. The blades lift and position whiskers so that they’re quickly snipped down to the skin. Removal is gentle, and redness and skin irritation is minimized. 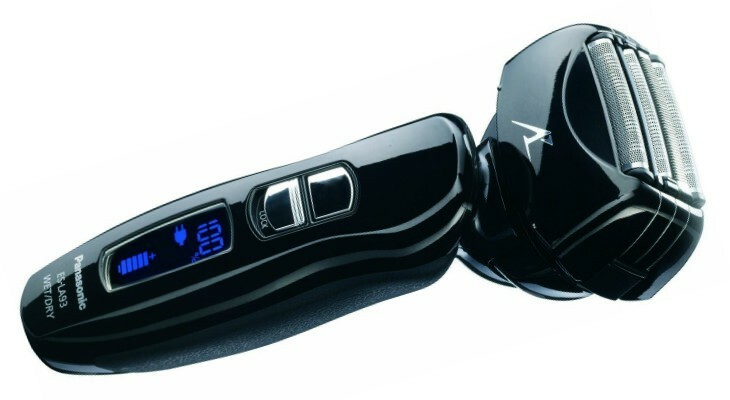 You can use this electric shaver either wet or dry. Some men prefer to only shave dry, and it will still deliver a great shave, even when you don’t use it with water, soap, gels, or foams. It’s also perfect for a quick dry shave anytime, and comes with a carry pouch so it can be placed in a briefcase, backpack, or bag. This shaver is completely waterproof, so you can use it over a running tap, or bring it into the shower with you. Adding water, soap, gel, foam or cream will help to speed up shaving, and capture more hair so that a smooth shave lasts day and night. It promises to deliver a clean smooth shave every time you use it. 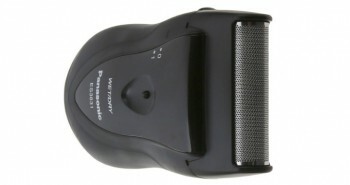 The ES-LA93-K is considered to be in the premium tier of Panasonic men’s shavers. 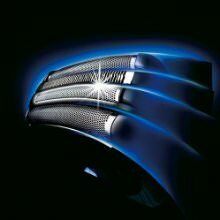 The Panasonic shaver is built with a 14,000 CPM linear motor drive that is not only fast, it also prevents tugging and pulling that slower motors can cause. The cleaning and charging unit is made from matte black plastic, and has a unique cleaning, drying, and charging feature. 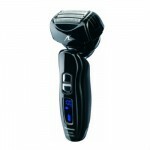 You simply place your shaver head down into the unit, and use the select or clean/dry buttons. There is also a lit status button, so you can see at a glance what stage your shaver is in. 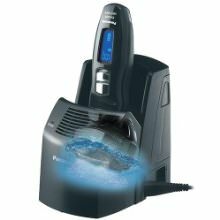 The cleaning works with sonic vibrations, which help to shake out the finer hairs that may be trapped inside the foils of the shaver. The cleaning system takes individual cleaning cartridges. These last for several cleanings until they need to be replaced. The shaver can also be rinsed under the sink after being used, and the sonic vibration mode will also aid in the cleaning, even if you don’t wish to place it in the cleaning and charging station. It takes only one hour to fully charge up the ES-LA93-K. This one hour charge will last for up to forty-five minutes of shaving time. 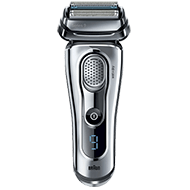 There’s a silver on/off button on the front of the shaver, and a blue LCD lighted display that shows one stage at a time. There are a total of ten different stages that will display, and let you know how much battery charge you have left, and whether you need to charge it up again. 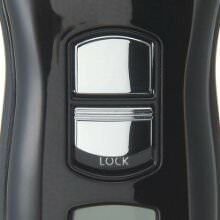 A lock button will keep the Panasonic shaver from accidentally turning on while it’s being carried in luggage. The Panasonic Arc4 has universal voltage, so it can be taken to anywhere in the world. The shaver has a pop-up trimmer so a man can trim his sideburns, beard hair, or moustache hair easily. The kit includes one ES-LA93-K Panasonic electric shaver, one cleaning and charging unit, a cleaning cartridge, and a travel pouch. 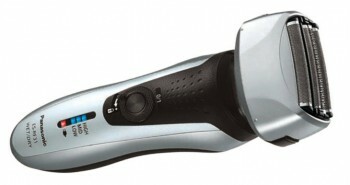 The shaver weighs about 7.1 ounces, and it measures 6.5”x2.7”x2.2” in size. Together with the cleaning system it weighs two pounds. 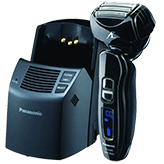 The Panasonic ES-LA93-K electric shaver will shorten shaving time, providing a clean, smooth shave for men that need to look flawless for business or personal life. What is the difference between the two models ES-LA93 and ES-LA93-K? I think you can only buy ES-LA93-K. The ES-LA93 might be just a shorter name for the same shaver. I just purchased this razor from Amazon for $119. This will be my third Panasonic razor I’ve owned and I’ve never been disappointed. The new one is scheduled to arrive today. I’ll follow up in a week or so with my findings.